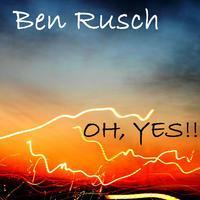 Ben Rusch: Unique to the power of twenty-two (so far...). 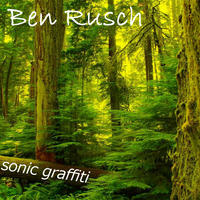 Ben Rusch is an award-winning multi-instrumentalist and songwriter based in London (UK) who has written 22 (seriously: twenty-two) full-length albums' worth of Pop, Folk, Rock, Progressive Rock, Neoclassical Music and anything in between. With so many influences to be discovered in Ben's music, you never know what brand of musical goodness you might find when you turn the next corner - but you can guarantee that every single track makes for an engaging spin. And while the music is constantly surprising, the songs themselves remain accessible. Songwriting awards in the last 12 months alone include a Runner-Up prize in the 2010 Nashville Tennessee Concerts Song Contest with the song "Where The Wild Things Are", two Finalist placings in the 2010 Show Me The Music international songwriting competition for the songs "Where The Wild Things Are" and "Fissile Isle", a Finalist placing in the 2010 international songwriting competition Expose Yourself, with the song "Your Eyes Are Like Fire", a Semi-Finalist placing in the 2010 international songwriting competition Song of the Year with the song "Achitects of Time", two honorable mentions in the Nashville songwriting contest SongDoor 2009, for the songs "A Small Selection Of Things" and "Your Eyes Are Like Fire", and a semi-finalist placing in the 2010 UK Songwriting Contest with "Until the coast is clear" as well as the Song of the Day accolade on FM 102X Radio (June 2010). The list goes on and on, and by now you can tell where this is going: Ben has been referred to as "one of the most inventive and talented songwriters in the business today" and he has every intention of continuing to live up to these laurels. "Unique, interesting and intelligent; indescribably good. 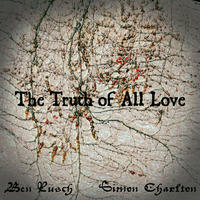 Ben's musical education comes through loudly and clearly with complex and interesting arrangements and timing in all his work. Comparison is almost impossible." 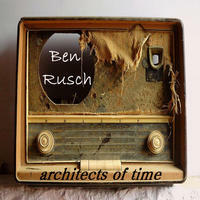 "The Architects of Time" album manages to go places a conventional folk rock album cannot go. Out of Time is the first track on the album and by far one of the most amazing progressive rock instrumentals I've ever heard." 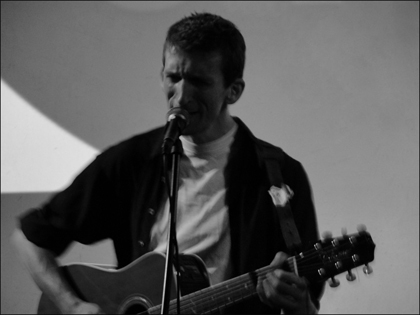 "Nuanced, balanced, intriguing, highly inventive - the Poet Laureate of Indie Rock. Humor, intelligence and deviously good song craft inform the process in one of most original albums I've had the honor to listen to lately." "Extraordinary musicians produce extraordinary music. The songs transcend all conceivable stylistic frameworks. The music is uniquely rewarding and reveals new facets every time you listen to a song and allow yourself to become immersed in its appealing intensity. The flawless lyrics are full of fantasy, imagination and substance, achieving a near-literary level of sophistication." Ben Rusch lives in London, England. Tagged as: Alt Rock, Folk-Rock.